Biogen has scooped the Orphan Product Award at the UK Prix Galien 2018 for Spinraza (nusinersen), which in 2017 became the first and only approved treatment for 5q spinal muscular atrophy (SMA). This is further recognition of the innovative science behind the development of nusinersen, which has already won five Prix Galien awards in the US, Italy, the Netherlands, Belgium-Luxembourg and Germany. In addition, the scientists behind nusinersen won the Breakthrough Prize, which honours transformative advances toward understanding living systems and extending human life, earlier this month. Prix Galien was introduced to recognise innovative and important medicines. The awards are judged by prominent healthcare leaders, academics and specialists. It is one of life science’s most prestigious awards for innovation, recognising breakthrough therapies which improve the human condition and address unmet need. The ceremony was held at the House of Commons, London on 15th November 2018, where nusinersen won by unanimous decision, having been one of seven finalists in the Orphan Product category. Nusinersen gained European marketing authorisation in May 2017 following accelerated assessment, and a licence was given based on the strength of the clinical trial interim results. The medicine is now available to patients with SMA in 22 European countries (including Scotland for Type 1) and many more across the world,1 but not in England, Wales and Northern Ireland following a ‘minded no’ issued by NICE in August 2018. SMA is a rare muscle wasting condition which affects a person’s ability to walk, eat and ultimately breathe. The leading cause of infant genetic death, those with the most severe form of SMA are unlikely to live to see their second birthday. “Biogen is delighted to have been recognised by the prestigious Prix Galien here in the UK with the Orphan Product Award for nusinersen,” said Terry O’Regan, Vice President and Managing Director, UK and Ireland at Biogen. 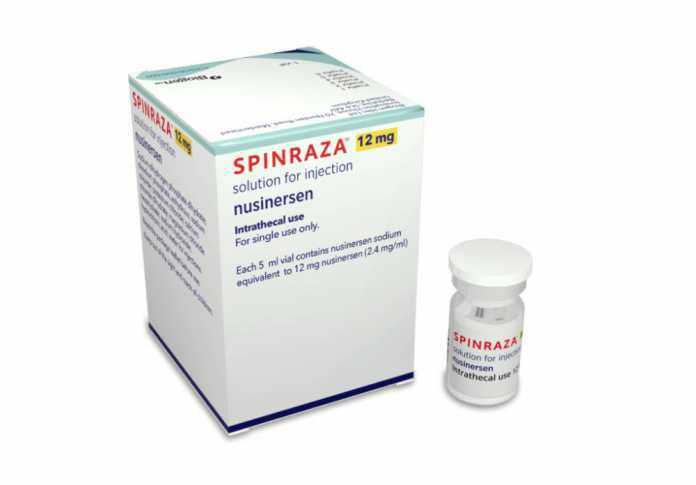 “Nusinersen is the first approved medicine to treat spinal muscular atrophy, a serious and life-threatening disease that impacts patients and families severely, and we are humbled by the opportunity to change this for patients in the UK.